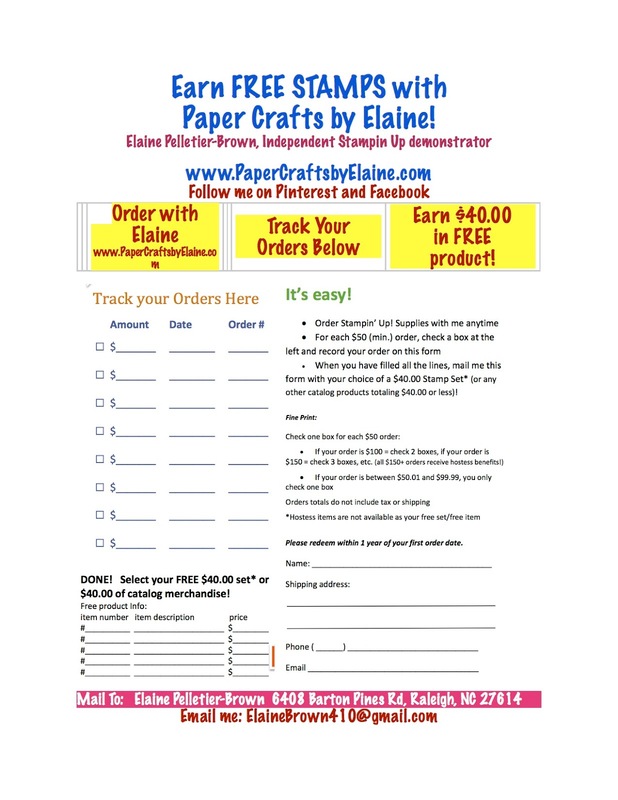 When you have filled all the lines, mail me this form (see below) with your choice of a $40.00 in Stampin Up product. ($40 or less before shipping and handling) Shipping and handling is FREE. Check one box for each $50 order. *Hostess items are not available as your free set/free item. Please redeem within 1 year of your first order date.